Dowsing for bombs: Maker of useless bomb detectors convicted of fraud. 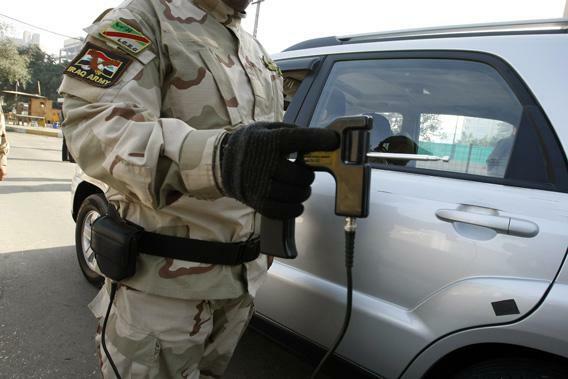 An Iraqi soldier walks along side a car as he holds a (useless and fraudulent) “bomb detecting device” at a checkpoint in central Baghdad on Jan. 23, 2010. In 2009, it came to light that a man named James McCormick was selling a device he claimed could detect hidden bombs. Clearly, something like this would have great military utility. The thing is, the detectors McCormick made didn’t work. They couldn’t work. They were frauds. The devices did nothing at all to detect bombs. They didn’t even have any working electronics in them. Instead they rely on what’s called the ideomotor effect; small movements of the human body we aren’t conscious of, but can be affected by what we want them to do. The classic examples of this are Ouija boards and dowsing rods, both of which have no paranormal ability at all. They simply reflect what our brains are telling our muscles to do. This has been shown to be true over and again, so much and so thoroughly that there’s little room for doubt. These bomb sniffers worked the same way, as was brought to light by skeptics James Randi and Air Force Lt. Col. Hal Bidlack. And as with dowsing rods, the people who use them swear they work, despite proof that they can’t work, and are no better than random chance at detecting objects. Flipping a coin would do as well. 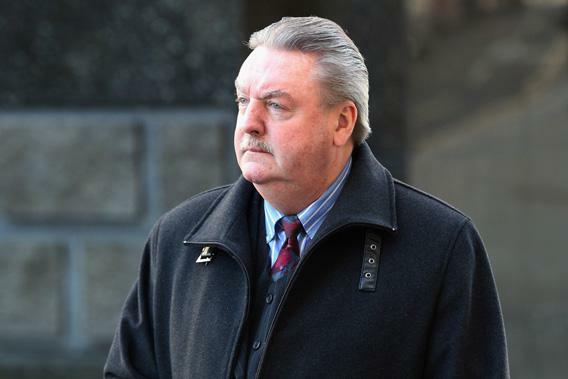 Convicted fraud James McCormick arrives at the Old Bailey on Apr. 23, 2013 in London, England. Here’s the thing: McCormick’s company, ATSC UK (Ltd), was selling these fraudulent magic wands at great expense to the Iraqi government, which spent $16,500 to $60,000 each for these things, devices which might as well have been crayon boxes full of rocks. They were useless. Or, as it turns out, far worse than useless. The Iraqis were using them at military checkpoints. On Oct. 25, 2009, terrorists carrying two tons of explosives got right past the magic bomb sniffer and detonated their cargo, killing 155 people. Two months later, it happened again, with 127 people killed. Not long after, McCormick was arrested under suspicion of fraud. He claimed innocence, but that’s difficult to swallow. While the people using them really thought these bomb detectors worked, it beggars belief that McCormick could have thought so. He was building them. Last week, in a wonderful victory for reality, McCormick was convicted of fraud. He made millions selling those magic wands, and now he is going to pay the price. I’m glad he was convicted of fraud, because it sends a good message to those who would try to use pseudoscientific claptrap to make a profit: We’re on to you, and we will do what we can to stop you. And it’s a cautionary tale as well. There are an infinite number of flavors of this sort of nonsense, from astrology to homeopathy, from the antivaccination movement to global warming denial. While you might think some of these are harmless, they all have very serious ramifications: they lead to magical thinking. They tell people it’s OK to stop putting their trust in reality and science, and instead abandon it for nonsense. Sometimes the outcome isn’t a big deal. And sometimes hundreds of people die when you reject science and buy fraudulent bomb detectors. Believing in nonsense can get people killed. History books are filled to the brim with such stories. And, as a final note: I wish this were one book we could close. But we can’t: These useless devices which can’t detect bombs and which lead to humans being killed? They’re still being used by the Iraqi military. Thanks to Skeptical Teacher for the link to the article about McCormick’s conviction.